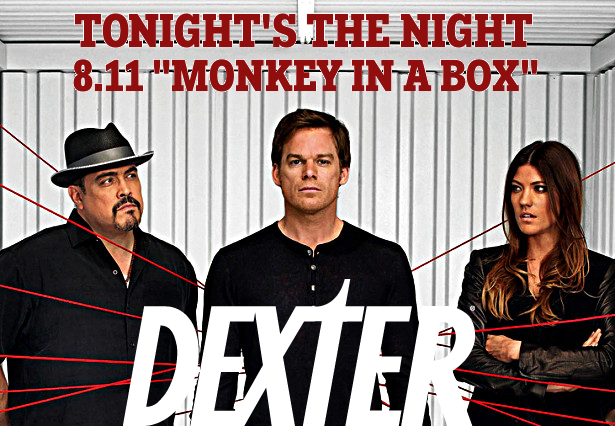 Dexter Daily: Tonight's the Night | 8.11 "Monkey In a Box"
Tonight's the Night | 8.11 "Monkey In a Box"
Tonight's the night, for the eleventh and penultimate episode of Dexter, "Monkey In a Box", which is written by Tim Schlattmann and Wendy West and directed by Ernest Dickerson (9pm on Showtime). This is the last episode before the series finale. What are your expectations for tonight? Share your predictions in the comments below!